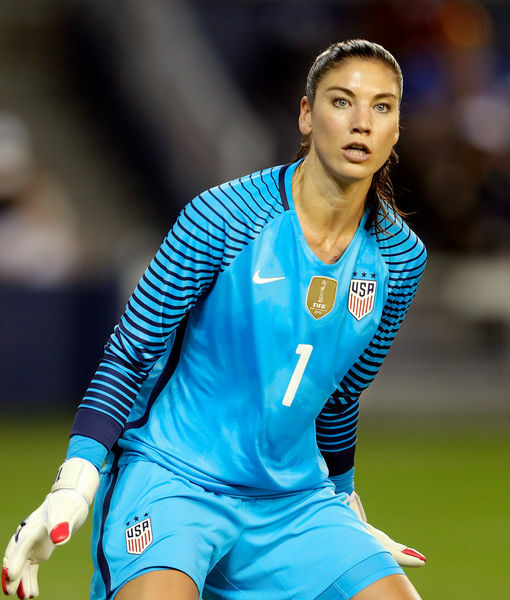 The U.S. Women’s National Team kicked off the Olympics in Rio Wednesday, but star goalie Hope Solo doesn’t seem to be making friends in Brazil. During the game against New Zealand, the 35-year-old was booed whenever the ball came her way — with several reports saying "Zika! Zika!" was also yelled at her during the game. She was willing to share some of her other arsenal items against Zika. In another tweet, she included a photo of her bed covered in bug spray bottles, hats and more with the caption, “If anyone in the village forgets to pack repellent, come and see me...#DeptOfDefense #zikaproof." The backlash didn’t seem to phase Solo... the U.S. Women’s National Team walked away with a 2-0 win.